From Joan Medlicott, the nationally bestselling author who created the wonderful world of Covington, comes a heartwarming story about three generations of women who find their way past old hurts and losses to understanding, forgiveness, and love. Winifred Parker climbed her way out of poverty by marrying into one of Philadelphia's oldest, wealthiest families. Now seventy-two years old, she has always felt that her son married beneath him and she has had no contact with her daughter-in-law, Zoe, since her son was killed in Korea. Zoe Parker lives alone on twenty-eight acres of rural Carolina land that she inherited from her parents. Determined to preserve her property when faced with the threat of foreclosure, Zoe, now in her fifties, has no choice but to turn to her wealthy, estranged mother-in-law. Katie Parker is a young divorcée whose daughter recently passed away. When she returns home to Zoe's land to heal, she knows enough about her mother's history to be surprised to find her grandmother living there, too. Though old grievances stand between the three women, new challenges and grave danger cause them to forge a new path together, and they soon find unexpected bonds forming along the way. 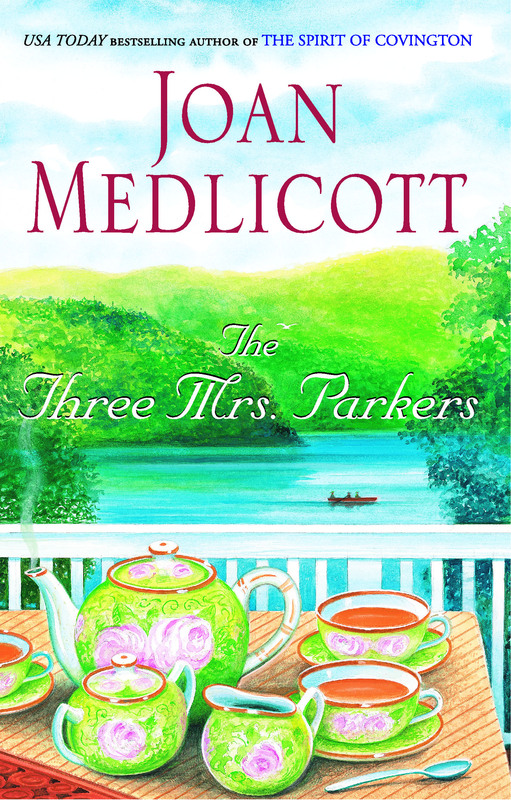 Joan Medlicott has created an entirely new group of characters you'll want to spend time with in this warm, rich novel about family, friendship, and where the two meet. Low-angling light shrouded the room in soft shadows. Soon the sun would set -- not only on the world beyond her walls, but on the way of life Zoe Parker cherished. Standing at the sink in the large, rustic kitchen of her home on Amorey Lane, she lifted and lowered her shoulders in an effort to release the tightness. Her foot tapped an agitated rhythm on the scrubbed wood floor. Her hair, mingled shades of brown and silver, hung over her shoulder in a long braid, and she absentmindedly twirled the end between her fingers. If I keep my eyes on the clock, maybe time will slow. The tall, silver-haired woman appeared calm, her face composed. Only the tremor in her hand as she clutched the handle of the Amtrak train's door betrayed the strain of the journey and her agitation. The porter set her two brown suitcases on the wooden platform, then flexed his fingers, making the joints pop. "Mighty heavy, lady. Whatcha carryin' in there, stones?" Winifred Parker stiffened. She now regretted refusing her daughter-in-law's offer to pick her up, telling Zoe she was perfectly capable of getting there by herself. But the ride from Goose Island to Portland, Maine, followed by the long train trip to Philadelphia, and then Amtrak's East-West Express to Westminster, South Carolina, had sapped her physically. The porter stood immobile, waiting for a tip. "Call me a taxi, young man." "I ain't got no phone." He lifted his hands in a helpless gesture and shrugged. "Gotta get you inside for that, lady." Extracting her change purse from her deep leather pocketbook, Winifred counted out a dollar in quarters. The porter scowled, pocketed the money, shook his head, turned on his heel and moved away, abandoning her with bags too heavy for her to handle. Already she regretted coming. Zoe stared through the bow window over her sink into the darkening evening and thought about her parents. They had bought these forty-eight acres of woods and pasture outside Salem in Oconee County when land cost one hundred dollars an acre, and taxes on the entire property were two hundred sixty-seven dollars a year. Located in the Golden Corner, as locals called the westernmost tip of South Carolina, Salem could be driven through in the time it took to speak a seven-word sentence. Her father had built the rambling ranch house of stone, wood, and glass on a rise overlooking the pasture with a view of the distant mountains of North Carolina. He laid the flagstone patio outside the living room, and installed the lights surrounding the patio and running along the steps leading down the hillside, across the narrow stone bridge spanning the stream, and through the pasture to the summerhouse adjoining the pond. Zoe loved that moment each evening when day and night fused and the lights came alive with a radiance and sense of celebration that thrilled her. It was silly, frivolous, and perhaps inappropriate for a fifty-two-year-old woman, but it lightened Zoe's heart, on warm nights when the moon was full, to slip into a white cotton shift, descend the steps, and cross the bridge to the summerhouse. From there the lights gamboled on the surface of the pond, and Zoe would lie in the hammock, relax, and release her mind to conjure up Steven, his red hair burnished by moonbeams. As in her memories of their too-short marriage, he would extend his hand to her, and they would dance. These moments brought the realization that she was perhaps too much alone, even though she worked with a local theater group and was helping to write a grant proposal to fund the renovation of an old theater, a home for their amateur company. It was a change from her usual work for environmental causes, but she'd needed a change, and she enjoyed working with the artistic director and the company's manager. The kitchen phone jolted Zoe from her reverie. "Zoe, I am at your railroad station, which is hot and full of flies, an utterly dreadful place. Come pick me up. Hurry." Winifred's voice was crisp and curt. "It'll take me three-quarters of an hour to get there," Zoe said. "Is there someplace you can get something to eat, or a place to rest?" "I'll be fine. Just hurry." The phone clicked and went dead. The streamers of fog settling on Salem's dark country roads vanished when Zoe reached the lights, restaurants, and gas stations that flanked the four-lane roadway to Westminster. A truck jackknifed across one lane of the highway slowed traffic to a crawl, and Zoe's already-tight stomach tightened further. She was going to be late. Winifred would probably be quite out of sorts by the time she got there. Winifred slumped back on the uncomfortable wood bench outside the Westminster train station, raised her feet, and set them on one of the suitcases. It was over an hour since she had talked to Zoe, and she needed desperately to lie down. She clutched the edge of the bench and closed her eyes to stave off the dizziness. Good Lord, not now. With trembling hands, she rummaged in her purse and extracted a small flask of water and a bottle of tiny pills. She swiftly swallowed a pill, leveled her shoulders, and focused on a window of a building across the street. 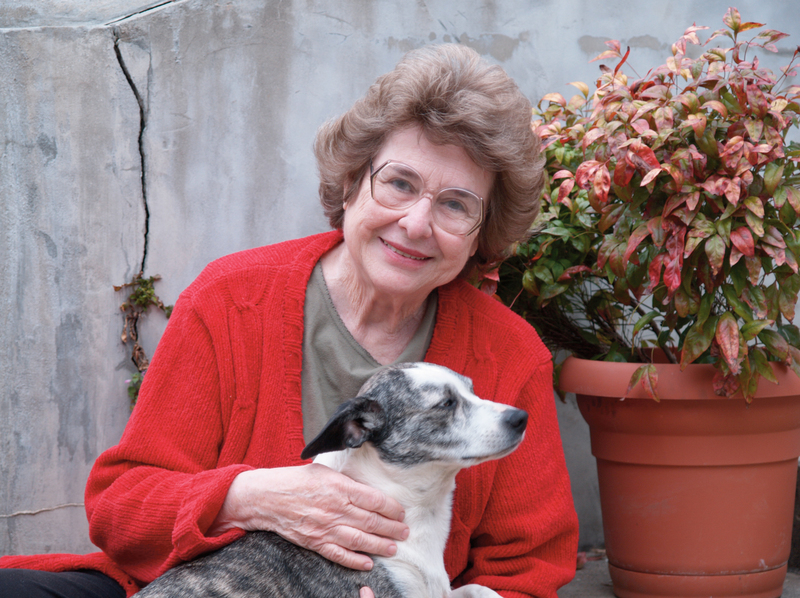 "I may be seventy-five years old, but I'm not done with life yet," she muttered. After all, her ancestors were long-lived folk: hardy men who had fished the harsh Atlantic off the coast of Maine and stoic women with few comforts in their lives. But this journey had been interminable and exhausting. And although she hated to admit it, she had again been her own worst enemy. Her heavy twill slacks and long-sleeved silk blouse were totally inappropriate for the South Carolina summer. Winifred shifted her jacket from her lap to the bench beside her. Her hand went to her throat, confirming that her pearls -- fine, delicate pearls appraised at ten thousand dollars, a fortieth wedding anniversary gift from her deceased husband, Theodore -- were safe. Zoe rounded the corner and the Westminster train station loomed ahead. Winifred Parker's fine-boned, aristocratic face was all angles and shadows, her blush and lipstick mauve in the harsh light. Her hair, which Zoe recalled always being impeccably coifed, lay flattened about her forehead and temples. The old harridan's dressed for fall, not for eighty-eight degrees at night in July, Zoe thought. By refusing to fly and refusing to let Zoe meet her, Winifred had obviously endured a needless and exhausting ordeal. Winifred glared at Zoe with indignant emerald green eyes. "Those horrid taxi drivers. One wanted to charge me a hundred dollars to take me to Salem. Another laughed when I told him my destination and drove away." "It's a long drive." Zoe forced a smile. "And it's hard for someone unfamiliar with the area to find the place in the dark." She wrestled the heavy suitcases into the rear of her van, while Winifred stood frowning at her. As always, this woman had the power to make Zoe feel inadequate, as if she, not Winifred, had made a fool of herself. Thick fog lay across long stretches of Highway 11, and Zoe held her speed to thirty-five. They hardly spoke except about the weather. Winifred perched on the edge of her seat, one hand on the dashboard, and declared unequivocally that of all the places she had ever lived, the weather was the most predictable and pleasant in Philadelphia. Then silence, self-conscious and thick as the fog, settled over them. Miles later, Winifred asked, "How is Kathryn?" On the rare occasions over the years that she had had any contact with Zoe, Winifred had always called her granddaughter Kathryn instead of Katie. "She's fine," Zoe replied, and crossed her fingers on the underside of the steering wheel. It wrenched her heart to see what was happening to her Katie. At thirty, her daughter's lovely red hair was already white, and each year, it seemed, lines burrowed more deeply across her forehead. She rarely smiled these days, and the Parker eyes, those stunning green eyes, were often joyless and dull. "How is that child of Kathryn's, what is her name? Laura May?" "Laurie Ann. She's older, bigger," Zoe said. "What is the longevity of a severely brain-damaged child like that?" "No one really knows," Zoe replied. "Some live to be twenty or more." "Well! Your daughter has certainly wasted her life. In my day, that kind of a child would have been put in an institution. How old is she now?" "Nine." Zoe tightened her grip on the wheel. "Hank wanted to institutionalize Laurie Ann, but Katie insisted on caring for her at home. They were divorced, you know that." Winifred shook her head. "I'm not surprised. No man is going to stay with a wife who makes a child like that her whole life." The cold, disdainful way Winifred said child like that infuriated Zoe. Her head throbbed, and her foot pressed down on the accelerator as if by driving faster, she could leave Winifred's unpleasantness behind. In the long silence, the dark seemed darker and the drive longer. Zoe's mind drifted back to when she was still Zoe Amorey, age twenty-one, and wildly enthusiastic about being instrumental in saving a stand of old-growth trees from a developer's bulldozers. She and fellow students had tied themselves to the trees, taking turns around the clock, attracting the attention of the media and putting pressure on the environmental education department of the university to join with legislators on behalf of the trees. She was also about to receive her master's degree in education. Steven Parker's fire-red hair, long and wild about his square, honest face, and those amazingly intense green eyes had startled her when she looked up from a game of checkers at an off-campus pub. He had stood to her right, his eyes warm and seductive. In that moment, Zoe had lost both the game and her heart. Their attraction had been immediate and their romance fiery, and when she started down the aisle -- two months pregnant, to her mother's chagrin and his mother's horror -- Zoe had glided on air, the universe trembling in the palms of her hands. After weeks of trying to prevent their marriage, Steven's parents had presented him an ultimatum: Zoe, or his law education and his place in his father's law firm. Steven chose Zoe, then enlisted in the air force and was stationed at Caswell Air Force Base in Fort Worth, Texas. There Kathryn was born with her father's hair and eyes, and Zoe embraced the role of wife and mother. Those had been the happiest years of her life. Then on a cloudless afternoon, as Zoe shaded her eyes from the glare of the setting sun, she saw Steven's plane become a speck on the horizon. The gusto, the intellect, the passion that was Steven Parker vanished on a routine training mission. And Zoe, after months of immobilizing depression, managed to pack their few belongings and returned with her two-year-old daughter to her parents' home in Greenville, South Carolina. Zoe turned off the highway onto a dark, winding country road. Within minutes a hillside sign, "Alexander Cemetery," spectral in the fog, loomed on a rise to their left. Just beyond, Zoe turned the car onto yet another dark two-lane. Moments later a white sign with deep-cut black letters, "Amorey Lane," sprang to life in the headlights. "In order for 911 to respond to an emergency, they mandated that every road in the county have a name," Zoe said. "Most people named their roads after themselves, thus, Amorey Lane." Winifred did not comment, but when the house came into view, she said, "My God, how can you tolerate living way out here?" Zoe's stomach knotted. "I love it here." Already it was clear to her that their arrangement, negotiated by phone, would never work. Winifred Parker, imperious and willful, a woman of means, could never adjust to rural South Carolina, and Zoe dreaded losing her privacy. Her heart plummeted as she considered certain of her personal habits: a trail of shoes left here, there, and anywhere, the unwashed dishes piled in the sink all day, books and papers strewn haphazardly on tables, laundry lifted from the dryer and left unfolded. Every habit, every move she made, would be subject to the scrutiny of Winifred's censorious eyes. Living with her mother-in-law, whom she had not seen or heard from in years, would be untenable. How could she have imagined otherwise? How could she share her home with a woman she disliked and who disliked her? But so much was at stake. She'd lived through tough times before; she could again. She would swallow her pride, adjust, and adapt to her mother-in-law and the situation. After all, Winifred wouldn't be here very long. "The house is very comfortable, and we have neighbors now. See those lights?" Zoe waved in the direction of the pasture and pond. In the distance, tiny lights played hide-and-seek among trees on the far hillside. "Over there, on the hill across the river." "What kind of people would move way out here?" The scorn in Winifred's voice was unmistakable. "There are two retired couples and a family with children. Nice people." Winifred ran trembling fingers along her strand of pearls. She had never trusted this unwanted daughter-in-law. In those first months after Steven died, she had expected every letter to contain a demand for money from his widow. None ever had. But for a very long time she had needed a scapegoat, someone it was safe to hate and to blame for the loss of her only child. She understood that now. Winifred squinted into the darkness. The unending chatter of insects grated on her nerves. She dreaded the isolation, and worried about the distance from a hospital. Already she loathed the house on Amorey Lane. She loathed the whole area. Damn life's capriciousness. Damn growing old. The Winifred who first arrives in Westminster is not the same Winifred who walks her granddaughter down the aisle. We often hear that people don't change, that as people grow older they get more set in their ways--and of course there's the old adage that you can't teach an old dog new tricks. 1. Does Winifred's changing happen naturally throughout the story? 2. Is her changing believable? 3. How do you feel about people changing? What do you think could cause a major personality change? Forgiveness is a major theme in this novel. We read and hear much about forgiveness, yet it is not an easy thing to do. 1. Do you feel, in reading this novel, that Winifred and Zoe are capable of forgiving one another? 2. Are you convinced that they are ready to forgive one another? 3. It has been said that being able to forgive is the ability to admit that we are like other people. Do you agree? 4. In your opinion, does understanding lead to forgiveness? 5. What does forgiveness say about these characters? Does it show strength, weakness, largeness of heart, insincerity?